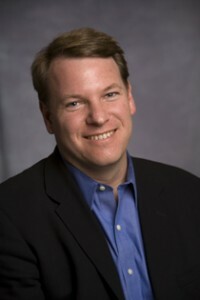 Chris B. Schaffer is an Associate Professor in the Meinig School of Biomedical Engineering and the Associate Dean of the Faculty at Cornell University. He received his undergraduate degree from the University of Florida and his PhD from Harvard University, both in physics. As a post-doc at the University of California at San Diego, he cross-trained as a neuroscientist. Chris’s lab develops and uses advanced optical techniques to observe and manipulate cells in the brain of living mice, with the goal of identifying cellular interactions that drive the development of disease in the brain. The group studies a variety of neurological disorders, including Alzheimer’s disease, microvascular stroke, spinal cord injury, and epilepsy. For example, a current focus is on elucidating the mechanisms that lead to reduced brain blood flow in Alzheimer’s disease. This decreased blood flow both contributes to the cognitive decline and accelerates the progression of disease, so the lab’s recent discovery of the responsible mechanisms could lead to new therapies. Chris’s research has been reported in 60 peer-reviewed articles with over 3,500 citations and is supported by Federal funding agencies (including NIH, NSF, and DARPA), New York State, and private foundations. Chris jointly runs his group with his partner, Prof. Nozomi Nishimura, who is also in Biomedical Engineering. Their lab currently has two post-docs, 12 PhD students, five Master’s students, and 15 undergraduate researchers, with annual research expenditures of around $2M. Chris is dedicated to providing meaningful research experiences for young scientists and has had more than 60 undergraduates work in his lab in his ten years at Cornell, with nearly all staying with the research group for three or more years. Chris is active in developing novel educational strategies to teach science as a dynamic process for discovery. These approaches are used in outreach settings in middle and high-school science classes as well as in his undergraduate and graduate level courses. He has further helped other faculty adopt best-practice pedagogical techniques, both by running education workshops and through one-on-one mentoring. For five years, he also ran a large, NSF-funded outreach program that pairs graduate students with local-area middle and high school science teachers to improve the science knowledge of the teachers, the teaching ability of the graduate students, and to provide a “resident scientist” in the classroom for the students. This program impacted about 5,000 school children, 40 local area teachers, and 50 PhD students. He is currently PI on a graduate student training grant from the Department of Education that aims to improve the teaching skills of PhD students. Chris also has a strong interest in policy and recently spent a one-year sabbatical in Washington, DC working as a science policy advisor for Senator Edward Markey. He has brought this policy interest back to Cornell and is one of the leaders of Cornell’s NIH-funded Broadening Experiences in Scientific Training program, which aims to help graduate students and post-doctoral fellows in STEM fields to learn about the broad range of careers their research training prepares them for and to help them gain credibility and experience in a career of interest. Chris leads the science policy track of this program and he teaches a novel course on policy for scientists. He has also worked to promote the success of students from underrepresented groups. For example, when he served for three years as Director of Graduate Studies for Biomedical Engineering he led that program to matriculate incoming PhD classes with a demographic makeup that is reflective of the US population. Chris is the current Faculty-in-Residence at Mary Donlon Hall, a residence hall for first-year college students on North Campus. In this role, he provides informal mentoring and runs intellectual, cultural, and social programs for first-year college students that aim to promote a “learning where you live” culture. Since returning from his sabbatical in DC, Chris has become increasingly involved in faculty governance at Cornell, including serving on the Faculty Senate, the University Faculty Committee, and recently on the College of Business Steering Committee and now the Dean of Faculty office.